If you’ve been reading my blog long enough you’ll probably remember my saying I don’t collect stereoviews. That’s largely true – I will on occasion buy the odd one if it’s cheap and has an interesting subject, but I’m not really looking for them – collecting them is kinda like getting into sports trading cards of all varieties: just too much out there if it isn’t your primary focus. I am however collecting a specific series because it’s a small series – only about 24 images in total for the full set. The first one in the series that I acquired was found at an antique shop in Sacramento, California. The card shows a station on the Lehigh Valley Railroad, outside Mauch Chunk, Pennsylvania (now known as Jim Thorpe, PA). I have since found four more in the series. These are all early stereoviews from the 1870s (one of the new ones posted here today has a date on the reverse in pencil of October 4, 1876), identifiable as such by the size (they are larger than the later cards) and by the paper stock and printing style. 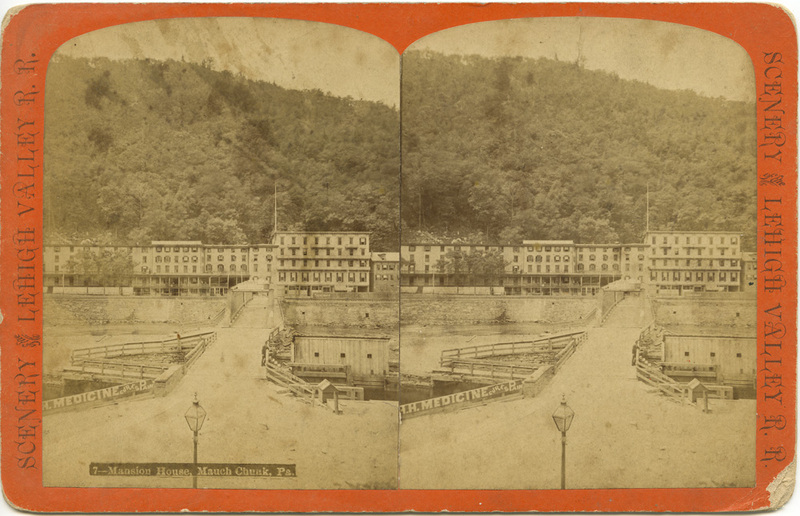 The switcback and hotel in Mauch Chunk had nothing to do with the Lehigh Valley Railroad. They were just destination points. If I implied that, I apologize. 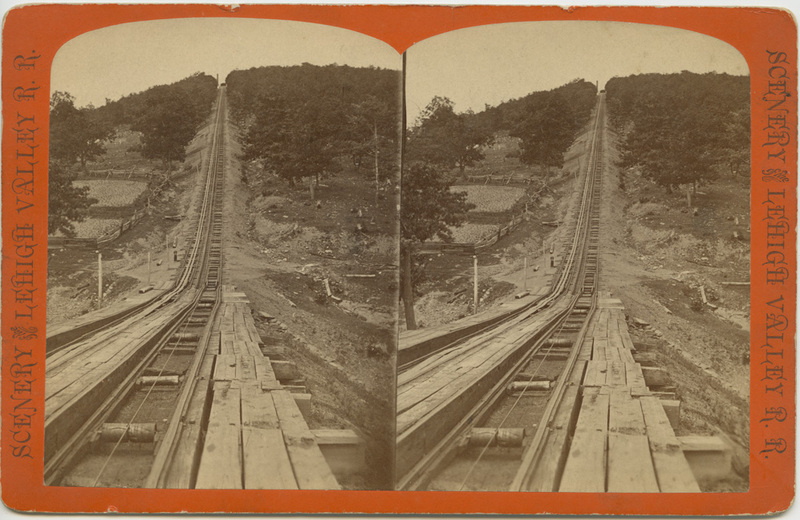 These are just stereoviews I have been collecting that were published as sights on the Lehigh Valley Railroad.